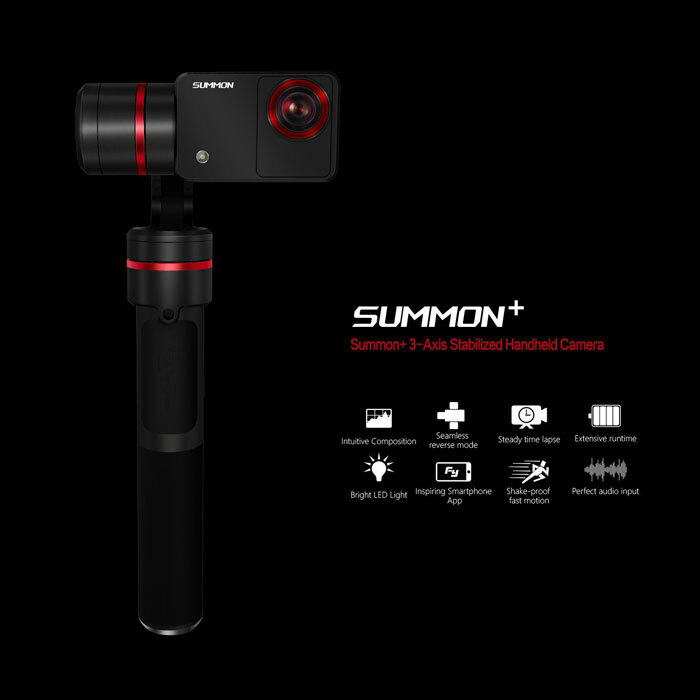 Meet FeiyuTech Summon+: a 3-axis stabilized 16MP camera that lets you capture smooth 4K video on the go. It comes with a 2 inch HD monitor and dual microphones. The companion app lets you change panorama and time-lapse modes and view video remotely on your smartphone. The Summon+ has better WiFi over its predecessor. It has a LED light to let you capture clear video in low light conditions. The battery lasts up to 3 hours.